Made of sturdy, die-cast aluminium and protected against extreme weather conditions thanks to the IP54 IP code, the Ohio outdoor wall light provides optimum ambient lighting in every modern façade. Do you have any modern outdoor lamps in the style of this where dusk till dawn can be used? Unfortunately we do not have lights with a dusk till dawn feature at this moment but may have them in the future. Does the senor has dusk to dawn detection? 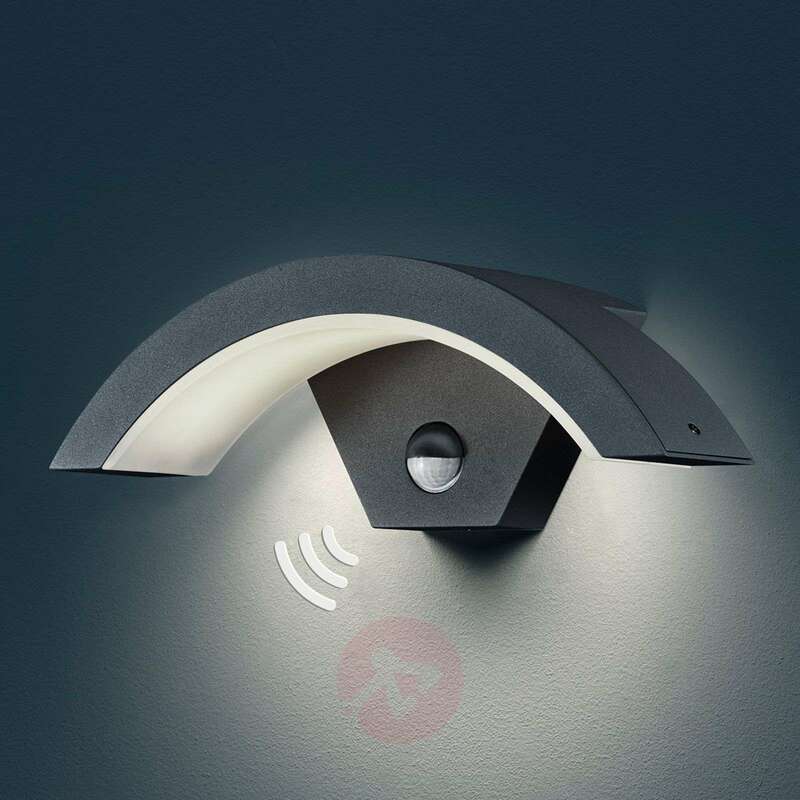 This light has a dusk to dawn motion sensor that detects motion at night. Without motion, this light will remain off. The sensor doesn't last very long and thus the light becomes useless. Also, the senor has no dusk to dawn detection. Thank you for your feedback. We’re so sorry to hear that this light has stopped working properly. What you describe sounds like a fault with this specific unit to me. Our customer service team will contact you directly to arrange a replacement free of charge.